Summer for divorced and separated parents can be a challenging time to manage child custody arrangements. With the end of the school year fast approaching, now is a great time to review your co-parenting plan with your co-parent. Even the most comprehensive co-parenting agreements will most likely need some adjustments while the kids are on summer break. When children are in school, families usually have a set schedule, with agreed parenting time days and transitions. But during the summer, the set schedule that is necessary to accommodate school and regular activities is not necessary. So it's a good idea to communicate with the other parent about summer plans and how best to organize your parenting time. Children really look forward to summer. After a long, hard school year, they are looking forward to spending days in the sun, playing with their friends and having fun. For your kids to have a carefree summer, it requires careful consideration, planning and flexibility by both you and your co-parent. Here are some simple guidelines to follow for a stress-free summer for everyone. It's best to start planning for the summer as early as possible to avoid conflict over vacation dates or family get-togethers. Agree how you are going to divide the time. Work out a custody schedule that works well for you and your children. Always put your children first when agreeing summer plans and keep in mind that this is a fun time of year for kids when they get to explore and make some fantastic childhood memories. As summer is long, most divorced and separated parents usually agree to split and share the summer. For older children, you may even decide to divide the summer in half. For younger kids, a two-week holiday with one parent is enough time with one parent but not too long to be away from the other. Often parents with a good co-parenting relationship prefer to avoid schedules during the summer months but this can often cause stress. It's better to have a well-defined schedule that allows for flexibility rather than have no schedule at all. This will also be helpful if you want to book a trip in advance. Once you have your parenting time agreed, you'll have more flexibility to make your summer plans. It's important that you speak to your children when making summer plans so that you can factor in their needs and what they would like to do. This is especially important for older children. Ask them about the things they would like to do this summer. Work with your co-parent to take everyone's wishes into consideration. You will probably both want to take the kids away for a vacation at some point during the summer. Coordinate with each other as early as possible and try to be co-operative. If your co-parent is planning a vacation with the kids – tell them to have a great time! Encourage your children to have fun with the other parent. Let them know that you want them to have a healthy relationship with both parents. Kids will often feel guilty. They maybe reluctant to go on the trip if they think it's going to leave a parent feeling bad. If you're taking the kids away for a vacation, be respectful and considerate of the other parent's feelings. Make sure they have all the information they need and feel completely comfortable with the plan. This will help to reduce the amount of friction and enable you both to make a plan that is in the best interests of your children. It's not fair to leave a parent wondering where their child is. If either of you are planning a vacation with the children, the other parent absolutely has the right to be given a specific itinerary and a way to contact their child. Work with your co-parent to set up the logistics to make this happen so that you both feel comfortable. If you both want to take the children on vacation during the same week, this can be problematic. It's a good opportunity to really consider what is best for your children and what they might prefer to do. Try to look for the compromise and discuss ways you can accommodate each other's wishes. When on vacation, remember that there will be times when your kids miss the other parent. Respect your children's feelings and show them that you understand that even though vacations are fun, the change in routine and missing the other parent can cause kids added stress. If you're both working, decide who is going to organize summer camps and childcare. You can each take responsibility for organizing camps and childcare during your parenting time. Or you can plan out the summer camps that your children will be attending and share the responsibility of signing up and paying for the camps. It's best to agree upfront how you're dividing costs and how you're choosing activities. 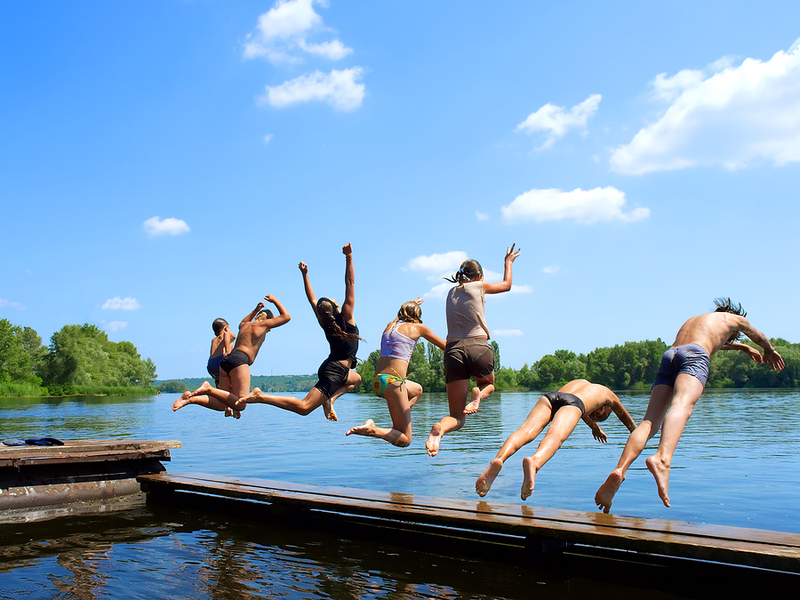 While making your summer plans, always think about giving your kids lasting summer memories. If your heart is set on doing something with the kids this summer, and your co-parent doesn't agree, take a breath and try to find a compromise. Be flexible and work together to find an agreeable resolution. If you cooperate with each other, you will be able to find a solution that you are both happy with. Eventually, the two of you will figure out a plan that works for everybody. Whatever your summer plans, remember that what children want most is to spend time with you. This becomes even more important for kids moving between two homes. Whatever time you are spending with your children this summer, give them your full attention and make the most of it. If they are spending time with the other parent, let them enjoy it. Be sure to ask them all about it. Show that you're interested in what they're doing when you are not together. Make sure they know you support their relationship with the other parent. Let them know that their happiness is what really counts. Make sure your kids know that you both love them. Take this break from routine to create some wonderful memories that will last them a lifetime.